Good news for Grimm fans. Deadline reports NBC has renewed the drama for a sixth season. The series is currently in the middle of its fifth season. 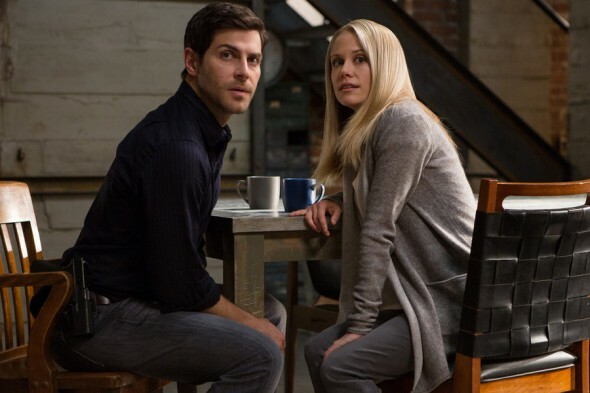 Inspired by Grimms’ Fairy Tales, Grimm stars David Giuntoli as Nick Burkhardt, a homicide detective who battles against supernatural forces. The series also stars Russell Hornsby, Silas Weir Mitchell, Reggie Lee, Sasha Roiz, Bree Turner, and Claire Coffee. The renewal is a little bit surprising. So far, ratings for season six have been middling at best, with an average of .91 in the 18-49 demo and around 3.97 million viewers. What do you think? Do you watch Grimm? Are you glad it’s been renewed? Love this show, I live in Portland near the edge of Forest Park. The Grimm reality is so close to how creepy parts of the reserve is, it actually makes me think twice about being there after dark. Thanks for renewing Grimm. My wife and I have watched every episode, and we love Grimm. Best show on TV, can’t believe it’s being canceled. Series Six is great and there are so many more stories to tell. There has be a network out there who appreciates this cast, and story line. I am so happy Grimm has been renewed for a sixth season. I just LOVE this show. love the Grim it’s one of the best shows on TV I really hope you do not cancel it it’s so hard to find a decent show on television anymore that grabs you as much as a grim. LOVE IT!!! IT IS MY FAVORITE SHOW!!! PLEASE LET IT GO ON FOR MORE SEASONS!!! its over after this 6th season, it only gets 13 episodes and not 22 so this the final season, its canceld.. I really like this show & look forward to watching it on Friday. I like to watch very few series but I got hooked on Grimm. Please keep this series going. I have little in live that I enjoy & watching Grimm I truly enjoy. Please continue making more series. Thank you.. I have been addicted to the series ever since it started. I love the creatures and how they intertwine them. Have been waiting for the next season to be gin. Grimm is my favorite show on TV. NBC, please do not cancel. It is the best fantasy being shown and I would miss it terribly. You did the same thing years ago with the Star Trek series. What a mistake that was, huh?